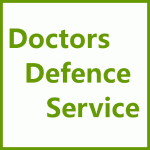 How to check a UK Doctor’s Registration | Doctors Defence Service – UK. You can check a UK doctor’s registration status online. You will need certain details to be able to do so. If you do not have all of them you can still perform a search. You can also use a ‘sounds like’ function, in search. If the doctor’s name cannot be found, try to obtain more details. It is a criminal offence for someone to claim to be a registered doctor when they are not one. A doctor will be content to show you identification to prove that they are who they claim to be. So do not be afraid to ask.